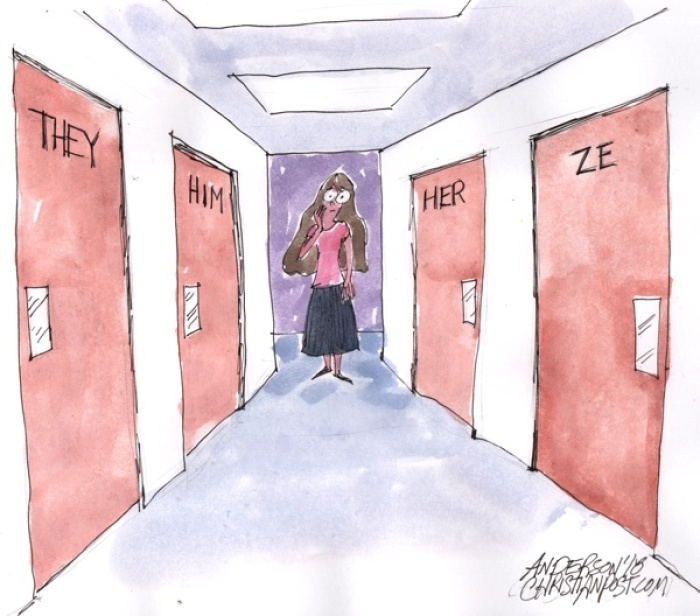 Is 'Non-Binary' Rhetoric Leaving Teens Bewildered? On August 27, Teen Vogue published an article titled: "How to Use Gender-Neutral Words, and Why They're Important." In the article, author Danielle Corcione (I assume it is a she, but to be politically correct, I'll refer to Danielle as the "author") tells us that "Gender-inclusive language isn't typically something you learn in school, but its use is incredibly important to make life easier for nonbinary peers." "Using gendered terms — such as "ladies [and] gentlemen" — is highly presumptuous, especially in today's society, in which many persons are aware that they don't identify as male or female and therefore are uncomfortable with this type of language," Dara Hoffman-Fox, LPC, explains.